Quantity of 9 fighting figurines holding axes and shields. For either Warhammer, Dungeons and Dragons, or Mage Knight. 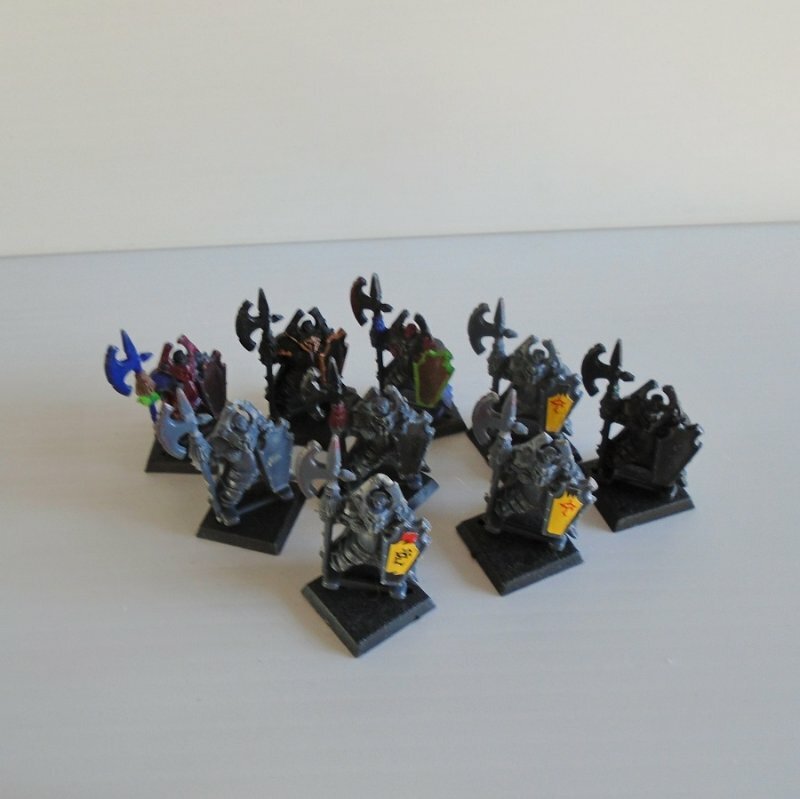 Offered in this listing are a quantity of 9 fighter figurines holding axes and shields. I'm not sure if they are for Warhammer, Dungeons and Dragons, Mage Knight, or some other game. This is lot 2 of 5 sets of various fighters. They all stand about 1.75 inches tall to the top of the axe. About half are in various stages of being painted. They all have a base to make them stand.